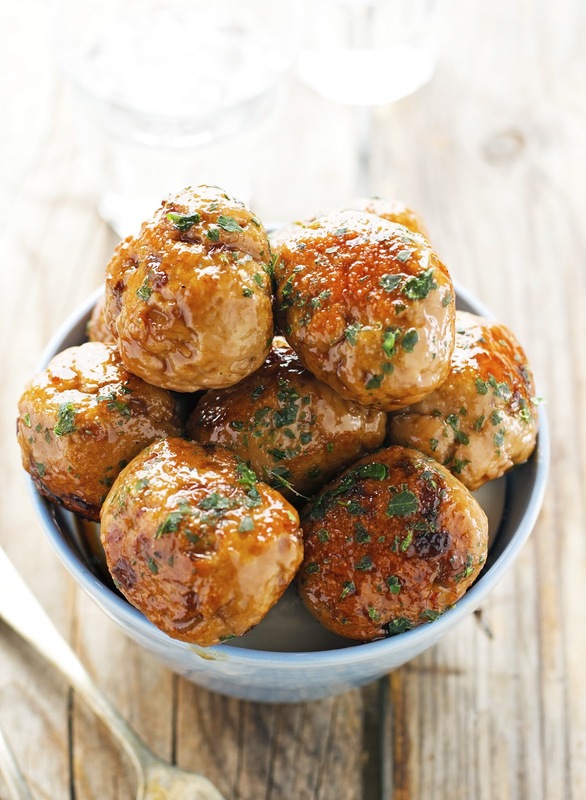 Take these Pomegranate Glazed Turkey Meatballs for instance. While I was making them I didn’t intend to post the recipe on the blog but they turned out to be so amazing I couldn't possibly not share it with you. The recipe is quite simple: The turkey is mixed with onion, garlic, seasoned, shaped into large meatballs, and seared in the pan. In the meantime pomegranate juice, sugar, red pepper flakes, and chicken bouillon are cooked down to a thick syrup which is poured over the meatballs. Popped in the oven until perfectly glazed. The meatballs are savory and slightly sweet-and-sour with a little kick from the red pepper flakes. Lean, healthy, easy, and so damn delicious! Pomegranate Glazed Turkey Meatballs Print this recipe! Preheat oven to 375°F (180°C) and place a rack in the middle. In a medium bowl mix ground turkey, onion, garlic, salt, and pepper until combined (do not overmix). 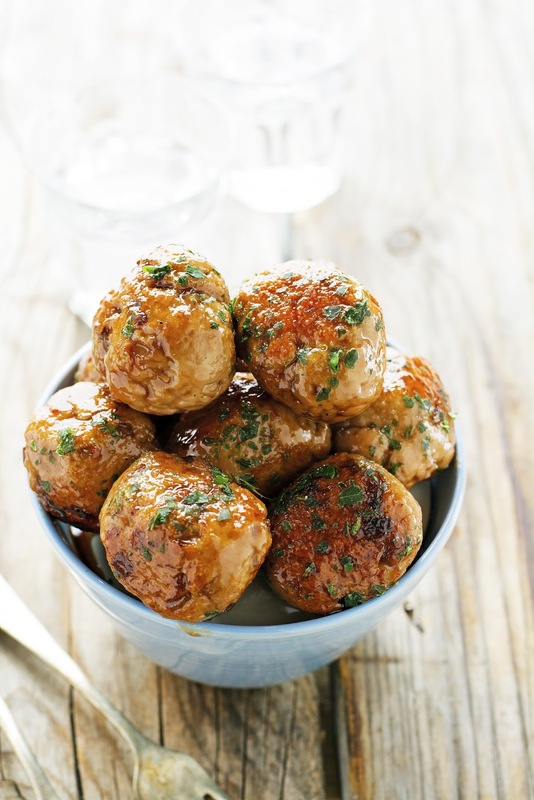 Scoop 2 tablespoons of turkey mixture and with dampened hands form into 16 large meatballs. Heat oil in a large ovenproof skillet over medium-high heat. Add meatballs and cook until browned on all sides, about 10 to 12 minutes. In the meantime combine all glaze ingredients in a small saucepan. Simmer over low heat until reduced by half and the mixture becomes a semi-thick syrup. When the meatballs are browned, pour pomegranate syrup over them and swirl the skillet to coat. Place skillet in the oven and bake until the meatballs are perfectly glazed, about 5 minutes. Carefully shake the skillet to turn the meatballs, sprinkle with chopped fresh parsley and serve! One serving (about 4 meatballs) yields 343 calories, 17 grams of fat, 15 grams of carbs, and 34 grams of protein. 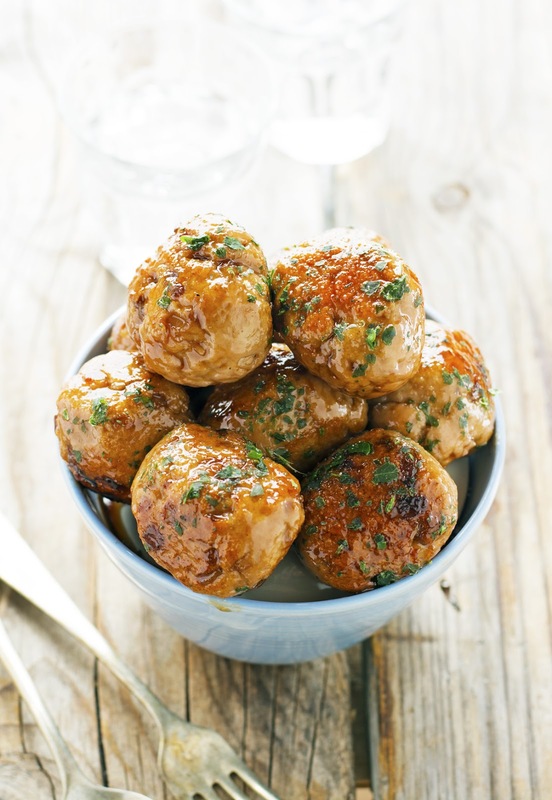 Can the pomegranate glazed turkey meatballs be frozen?